To gain knowledge? To earn experience? Or simply because your endless passion with WordPress encourages you to make the most of it? Before we rush to any serious business, I would like to make it clear to you that becoming a WordPress professional is no one-day work. However, with a reasonable investment of time, efforts and a great deal of determination, any WordPress user can be the next great figure in WordPress developing, blogging, designing, marketing or content writing, etc. In this article, I am not trying to paint any unrealistic picture or set any unachievable goal, instead, I will help you find answers to some unsolved questions. For instance, how to track down opportunities in your niche? Or how to advance yourself as a WordPress user? Upon answering those questions, I will also provide some practical advice and tips that may accelerate your journey to becoming a WordPress pro. Although I do not dare to call myself a WordPress expert, I am quite lucky enough to have worked with several extraordinary WordPress figures who are very enthusiastic in passing down their experience to me. Today, I will reveal it all to you without holding back anything. Last words before we start? Well, just bear in mind that there is no shortcut to the top of WordPress. Work hard with patience, and you will earn what you wish for. But how? Well, the following 8 steps are how! 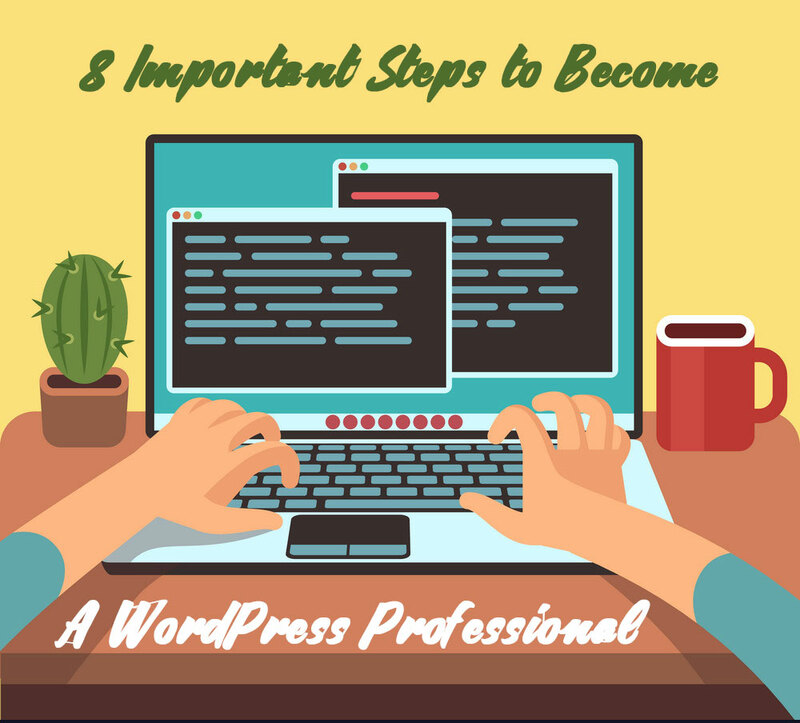 Reading through these 8 steps can be a good start, but we will need more than that to become a WordPress professional. Take my hands and find it out! Clarifying your niche includes may sound like a big deal, but there is no pressure here since WordPress has always been famous for being adaptable and you can always switch to a niche that you find more suitable later in life. In fact, the ability to adjust yourself to the fast-paced changing of WordPress is actually something any user should attain to bring their career to the top! Right down below are some popular WordPress niches that you may find yourself interested and fitting. Let’s take a look! Design: This career may include designing by using HTML and CSS or not, it will be up to your choice. Education: You may be surprised, but the truth is WordPress acts like an amazing tool for educators with a lot of plugins available. Content creating: This niche literally never stops being hot, why? As many new websites are coming to life every day, the demand for content writers who provide the meat for websites is certainly on the rise too! Marketing: SEO, eCommerce, and conversion optimization are the three things any future WordPress marketer should know of. Anyway, if you believe your skills can work well in more than one area, then do not waste your talents! I suggest giving them a try before making the final decision. And then, may you realize you have the energy to do both, then do it! Just believe in your ability and keep yourself in the right mind. These keys will open chances to success with your WordPress career. Having a good command of this so-called WordPress language will surely make your path to mastering WordPress smoother! In this step, the first thing you are advised to do is carefully carrying out a thorough consideration to see what skills you have already possessed that can help in your WordPresss career. I bet there will be some! For example, if you have been a blogger and plan to be a WordPress content writer, it is a great idea as your writing experience accumulated during the years will prove helpful. Or should you become a WordPress online marketer, it will be awesome if you have had some experience in offline marketing! WordPress Blogs such as this one is an undeniably rich source of WordPress knowledge. For technical stuff, resort to WordPress codex. Online courses provided by tutsplus are actually very informative. Such big events as WordCamp and web conferences will not only provide you with knowledge, it will also broaden your networking which I will talk about later. Again, no one should doubt the necessity to master SEO or search engine optimization, these days. Having a good grasp of SEO will allow you to draw as much organic search traffic to your website as possible. What does traffic mean again? Visitors! Chances! Money! Therefore, hope you do not mind when I repeat this: Maximizing the help from SEO will hopefully make your website surpass all of its Internet rivals. Improving yourself is something you could do on your own, it’s true! But do not underestimate the power of forming relationships with other WordPress users and professionals. Think about it! What can be better than being able to exchange ideas, expand your knowledge and enrich your mind with people of the same ideology? That is not to mention the strong friendships you may gain afterward! Well, if you fancy this idea just as much as I do, take your chance and join in local WordPress meetups or such big events as WordCamp that I have mentioned above. Do not have much spare time to go there in person? In this case, social channels are wonderful options. Facebook, Twitter, LinkedIn, and many others will be more than happy to help you do the job! Getting some companions along your way to the top of WordPress will do you more good than you might think. Remember you have a whole big and supportive WordPress community behind your back, appreciate that! Anyone has some kinds of weaknesses, what matters is accepting and then eliminating them. For a WordPress user, a weakness can be anything between an inability in team working and being a slow learner. These weaknesses will not only stand in your way of developing your WordPress career but will also affect your personal life. So how can you get rid of them? By being stronger than them of course! For example, you do not feel like belonging to teamwork? That may result from the fact that you can do better in managerial positions. Try raising your voice and become the leader of the team, you may find yourself more comfortable and especially, more effective. What I mean is that my friends, in order to become a WordPress pro, you need to bring out the best version of yours. And the best way to achieve that is by identifying and defeating your shortcomings. Now as you have finished deciding on your niche, familiarizing yourself with the basics, mastering SEO and other skills, and overcome your lackings, what is left to do is Practice! Just practice and practice until you manage to do anything you wish with WordPress in a blink of an eye, then keep on practicing! Never stop practicing and learning new things by reading these relevant blogs (i.e. WPBeginner, WPMU Dev, or WP Mayor). Furthermore, you can also sharpen your skills by offering tutorials, tips-and-tricks or how-to articles to people in need. By doing so, you will give yourself a chance to understand the problems more thoroughly, hence gaining more experience in solving them. This is the last, and also the long-term step in becoming a WordPress pro! Not to burst your bubbles, but only enhancing yourself is not all you need to become the top figure in the WordPress community. If you want to stay ahead, here are several things you should to simultaneously: spend time to keep an eye on the whole industry, identify the top trends and take full advantage of them, talk more to people and broaden your acquaintance circles, learn to look at things from multiple aspects, leave your comfort zone by challenging yourself with new activities, and last but not least, do not be afraid of changing! Like I said from the beginning, it will take you more than just time to become the next WordPress professional. But hey! Hold your head up, and what you get in return will be more than satisfactory, I promise! 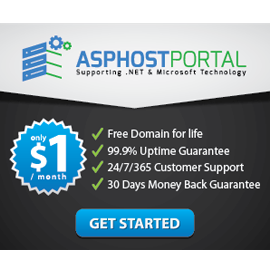 If you need reliable WordPress hosting that has good performance, I recommend ASPHostPortal for you.